Hanson's new colleagues are not looking forward to her arrival. It will still be some weeks before the federal parliament convenes following the July 2 election, but already members of the upper house are taking aim at new colleague and senator-elect Pauline Hanson. Hanson, the leader of the One Nation party, will enter the Senate after winning nearly 200,000 votes -- nine percent of the vote -- in Queensland. She will likely be joined by possibly two more One Nation candidates in the Senate, one each from NSW and Western Australia, according to figures cited by Crikey. Hanson's return to federal politics has some senators worried, especially after her first weeks as a senator-elect, where she reiterated her claims that Australia was being "swamped" by Asians and pushed her support for a Royal Commission into Islam. Labor senator Sam Dastyari -- who was publicly rebuffed by Hanson on election night when he offered to take her for a halal snack pack -- said he feared the effect that the entry of One Nation may have on the parliament. "It would be frightening to see the debate in this country dragged further to the right," he told The Huffington Post Australia. "The type of views espoused by Pauline Hanson can have a really destructive effect on political debate and discourse, so it's important for the country's political leaders to not pander to her politics but to call it out for what it is, abhorrent racism." Dastyari on Tuesday published a video on his Facebook page where he went to Hurstville -- an area Hanson claimed was "swamped" by Asians -- and interviewed local people. Dastyari stressed that it was "important the Senate respects and acknowledges that these people have been democratically elected" but wondered aloud how the other One Nation candidates would act when they enter the chamber. "They have earned a seat at the table through the ballot box, but in saying that, we shouldn't shy away from highlighting elements of their platform which are racist and intolerant," he said. "It's not just Pauline, we'll probably be dealing with three of them. She is a fairly open book, her views are pretty well documented, but we know little to nothing of the other senators. The interesting thing will be if Pauline's views are shared by her other senators." Greens senators have also spoken of their concerns over One Nation entering the parliament. "Pauline Hanson's election to the Senate will give her a platform to voice her racism and bigotry. While she has been democratically voted in, we won't be accommodating her racist views," Senator Lee Rhiannon told HuffPost Australia. "Advocating in the best interests of Australians, as Hanson promises to do, involves not spreading racist and Islamophobic vitriol and abuse which threatens and marginalises so many non-white and Muslim Australians." 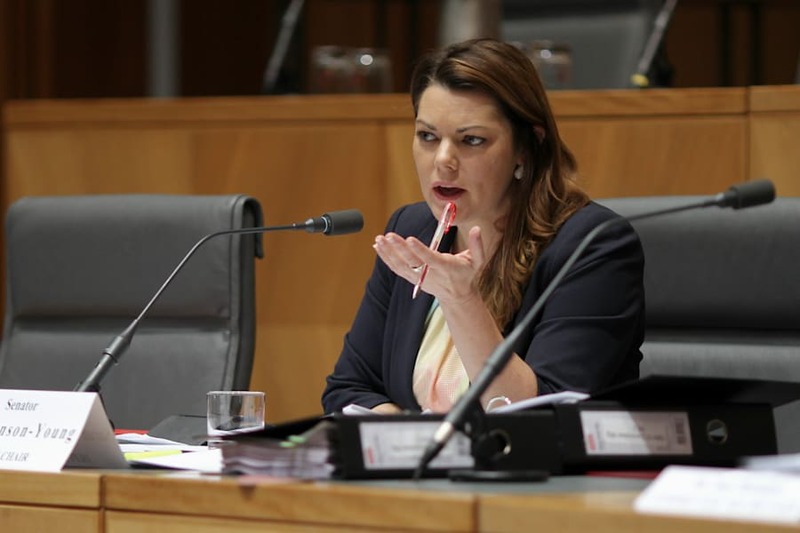 Sarah Hanson-Young, too, criticised Hanson but admitted that the rise of One Nation was due to a ordinary Australians feeling deep dissatisfaction with mainstream politics, and that the party's supporters were worried about basic living concerns. "As Parliamentarians, we have to reckon with the fact that on July 2 many thousands of people felt that Pauline Hanson spoke for them. To disregard her resurgence as a flash-in-the-pan populist vote would be foolish and would underestimate the seriousness of what has taken place," Hanson-Young told HuffPost Australia. "At the core of Hanson's popularity is the fact that many people feel hard-done by. They are struggling to pay their bills and they don't feel listened to. The problem is that, rather than tackling the complexities of entrenched disadvantage, Hanson has capitalised on those frustrations by blaming foreigners. "Pauline Hanson's road to Parliament was paved with fear; she saw that people are doing it tough and cynically exploited their anger for her own ends." HuffPost Australia has contacted One Nation for comment.